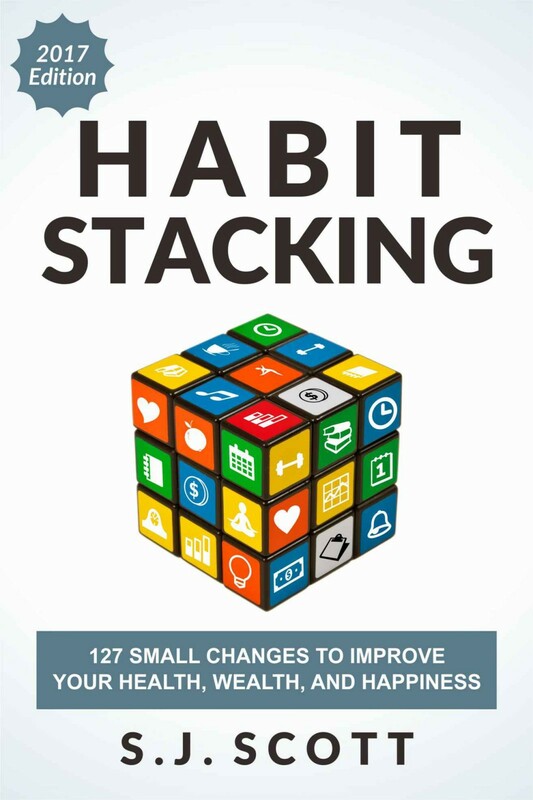 The best way to build a habit stack is to combine actions related to what you want from life. In other words, it makes no sense to add random habits together that have no personal meaning. Instead, each must align with your goals. This will make it easier to stick with a new habit stacking routine. 1. Career goals focus on improving your productivity, increasing your business revenue, or climbing up the proverbial corporate ladder. Whether you’re looking to improve a specific work-related skill or streamline your business, career goals are important because they have a direct impact on the other six areas of your life. 2. Finance goals will increase in importance as you get older. These actions include saving for retirement, improving your credit score, eliminating your credit card debt, and investing to build long-term wealth. 3. Health goals help you maintain a balance of physical fitness and eating the right foods. There are many subcategories that are included here, like losing weight, improving your diet, eating different types of foods, or becoming more physically active. 4. Leisure goals relate to personally significant activities. Often, we feel overwhelmed by everything else in life, so we procrastinate on those “bucket list” items that don’t seem immediately important. However, the best way to improve the quality of your life is to set goals that relate to the fun stuff. These activities can include planning vacations, spending time with your family, or focusing on a hobby like home brewing, hunting, cooking, or painting. 5. Organizing goals help you structure your surroundings in a mindful way so you don’t feel overwhelmed by the “stuff” in your life. This includes basic ideas for regularly cleaning your immediate environment, and it also goes into how to remove the items that no longer give you any personal satisfaction. 6. Relationships goals are about enhancing relationships with your significant other, family members, or friends. You could also set goals to improve your social skills, find a romantic partner, or simply become a better person to everyone you meet. 7. Spirituality goals have a different meaning for each of us. They could include activities like meditation, prayer, yoga, helping others, or reciting affirmations. Basically, whatever helps you achieve a calm peace of mind can be categorized as a spiritual goal. As you can see, there are many goals you can set. That’s why you should understand what’s truly important to you. You can do this by asking yourself a series of questions, which we’ll cover next.